Precision Greens has the industries best warranty on product and workmanship. PG gives a 10 year UV Fade Warranty that protects against fading and discoloration due to UV light. The products (and warranty) were originally designed for climates such as Nevada and Southern California due to their extreme heat and lack of water to properly irrigate. B.C.’s climate is quite mild in comparison so you should not expect your products to ever fade. Precision Greens has been installing for 17+ years and have not witnessed fading or discoloration. The life expectancy of these products is 20 plus years. 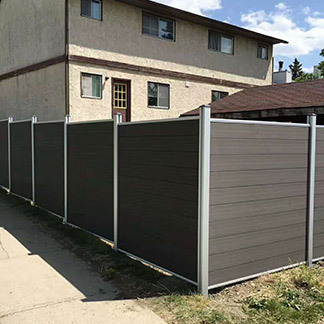 PG also offers a 3 year base construction and workmanship warranty. If constructed by PG your base is guaranteed not to settle for a minimum of 3 years. If your base does not settle in this two year period then chances are that it is not going to. If your base does settle we will come repair it free of charge. Precision Greens replaced 4 projects in our second year of business because we copied a base construction model from Southern California (as many installers in BC do today) which didn’t anticipate our excessive rainfall. Since rectifying our base construction model we have not had to replace or fix a single one of our over 1000 installations! Pro Tip: Don’t let your installer suggest using sand!! Where was I…..ah yes, workmanship! The warranty also protects you against any faulty seams, poor cuts and general quality assurances. 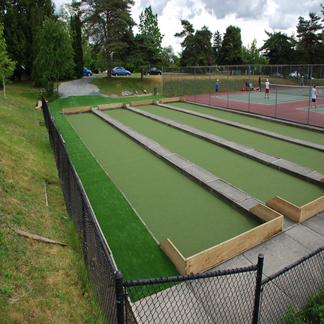 Precision Greens, Inc. manufacturer’s warranty is as follows, and extends only to the original purchaser, if you have purchased synthetic grass manufactured and installed by Precision Greens, Inc. 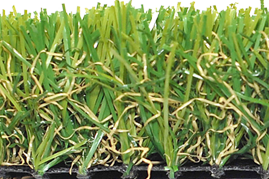 Precision Greens warrants that if the synthetic grass surface that is manufactured and supplied proves to be defective in materials or workmanship resulting in premature wear, during normal use of the product, or suffers significant fading, breakdown or degradation due to exposure to natural ultraviolet rays within the first ten-year period, Precision Greens will, at its sole option either 1) Repair or replace the affected area without charge to the purchaser, or 2) Issue a credit equal to the cost of the synthetic grass material only. 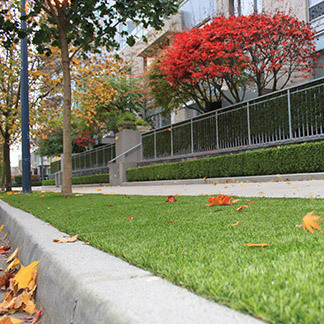 In the event that Precision Greens elects to issue a credit in lieu of repair or replacement, said credit shall only apply to the affected area of the synthetic grass given rise to the claim. Credit shall be issued to the purchaser as a percentage of the replacement costs of new synthetic grass of the same or comparable quality. 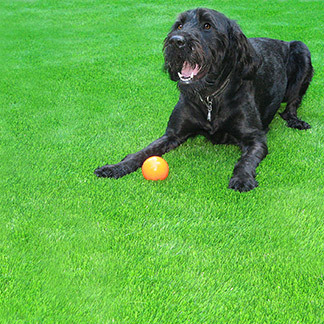 The credit will be good only toward the purchase of Precision Greens synthetic grass. There will be no cash payment. 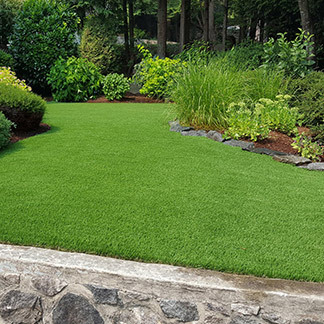 Precision Greens provides a 3 year warranty on all installation services and workmanship included but not limited to base construction (if preformed by Precision Greens), seam integrity and general workmanship. 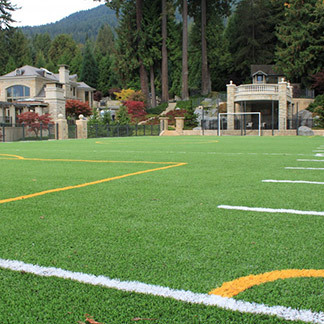 This warranty only applies to synthetic grass purchased and installed by Precision Greens. 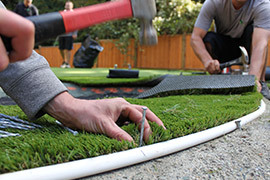 This warranty is limited to the remedies of repair or replacement of the affected areas of the synthetic grass, which shall compromise the exclusive remedy available under this warranty, and all other remedies or actions that might otherwise be available are hereby waived and relinquished by the retailer and or the end-user/owner. This warranty does not cover surface deterioration resulting from normal wear and tear or any damages caused by site conditions and improper installation beyond its control, accidents, misuse, abuse, neglect, exposure of the produce to inappropriate footwear (metal cleats), tobacco products, chemicals or cleaning agents, fire, floods, vandalism or acts of God. This warranty does not cover any damage resulting from repair or attempted repair by anyone other than Precision Greens. Precision Greens hereby disclaims any and all warranties, express or implied, including warranties of merchantability and fitness for a particular purpose and disclaims liability for incidental or consequential damages. 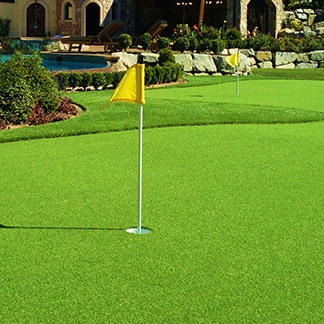 Precision Greens specifically excludes and will not pay consequential or incidental damages under this warranty, this includes any damages arising out of or in connection with the use of performance of the synthetic grass, including, but not limited to damages for economic loss, expense, personal injury, etc. This warranty is nontransferable. This warranty is only extended to the original purchaser. All warranty claims must be presented in a timely fashion to Precision Greens in writing and as soon as an issue with the synthetic grass becomes evident.